News came from Hewlett-Packard plans to use the Android operating system in the cheaper netbook berbiaya. The report comes from The Wall Street Journal, on Tuesday (01 / 4), said that Satjiv Chahil, a vice president at HP PC division has been confirmed that the HP software is being learned is Google. "We want to access the ability to Android in the computer and communications industries. However, we do not know if HP plans to sell Android devices to the system, or not. "Chahil said. 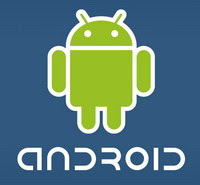 Android itself is a Linux operating system designed only for mobile phones, including T-Mobile G1, HTC, Samsung and Motorola. However, it is predicted that the open source Android system can be applied in other devices, including the mini laptop or netbook, known as the price of about $ 200 or approximately 2 million rupiah, in 2009 this year. Reason for Android phone take into account the free netbook as Android, and while Microsoft requires the cost to buy the Windows operating system license. However, the problem most consumers have been comfortable and familiar with the Windows PC, and they tend to choose a Windows-based netbook of Linux. HP is currently working on Android for the low cost netbook, as an alternative to Microsoft Windows. Meanwhile, Google rejected the comments, whether HP or other netbook manufacturer plans to use Android software, but Google does not contradict Android software if only for a limited mobile phone. "Android smartphone platform in the first mobile phone designed for style and netbook. We also see the contribution of innovation and what can be produced from Android, but we have not announce at this time. "Said Google spokesman.